Here is a roundup of all the awesome National Groupon deals for today! The chocolate/food gifts would be great for Valentine’s Day treats. Jacksonville – $50 of photo books, cards, etc. from Mixbook for $15. Salem – 40 page, 8×8 soft-cover photo book from A&I for $10. 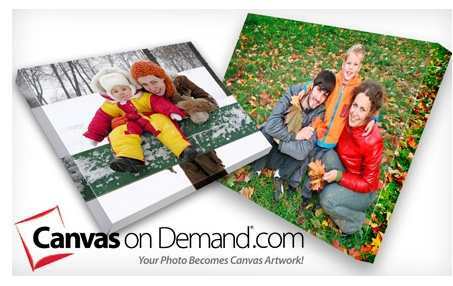 Stockton – $150 of wall murals from Murals Your Way for $65. Toledo – $50 of personalized gifts from Zazzle.com for $25. St. Catharines – Customized NHL jersey from Silvestri Sports for $109. 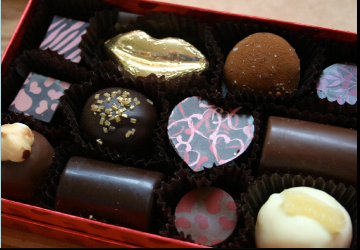 Harrisburg – $40 of treats from 5th Avenue Chocolatiere for $20. Birmingham – $20 of sweets from Chocolates for Good for $10. New York City – $75 of wines from Barclay’s Wine for $25. Charleston – $75 of home-delivered organic meats & cheeses from Nature’s Prime Organic Foods for $35. Hartford – $25 voucher for nuts, dried fruit, & more from Nutty Guys for $10. Lubbock – $25 of custom shakes, bars, & more from You Bar for $12. Rockford – $28 of tea from Matcha Source for $14. Evansville – $30 of loose tea and samplers from ESP Emporium for $15. Houston – $50 of merchandise from CareerBag.com for $25. New York City – $20 of eco-conscious bags from Bag the Habit for $10. Amarillo – $30 of jewelry and accessories from Blonde Birdie for $15. Mobile – $40 of jewelry from Whats-In-Store for $20. Boise – $60 of jewelry from i declare! for $30. Orange County – $60 of eyewear from Bomber Eyewear for $25. Oklahoma City – $100 of eyewear for $49 from LensWay. Baltimore – $25 of foldable sandals from Flexflop for $10. Los Angeles – $50 of clothing from Upper Playground for $25. Wichita – $15 of hobby and craft themed apparel from Two Chick Designs for $7. Tampa Bay – $30 of berry plants from True Blue Plants for $15. Kalamazoo – $20 of handmade stationery and gifts from Night Owl Paper Goods for $10. Houston – $50 of custom stationery, cards, and more from UrbanityStudios.com for $25. Rochester – Speed reading program from The Literacy Company for $74. Reading – 2 hours of VHS to DVD transfer service from Life’s Sweet for $12. Allentown – 2 VHS tapes transferred to DVDs from The Video Editors for $20. Columbus – Portable vibration speaker system from OrigAudio for $20. Des Moines – $30 of candles from The Candleberry Candle Company for $15. New Orleans – 2011 Calendar from Black & Gold Super Fans for $7.